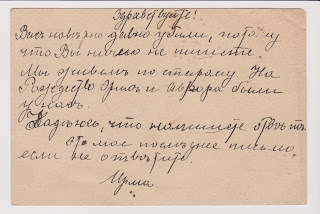 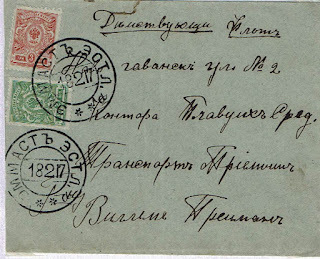 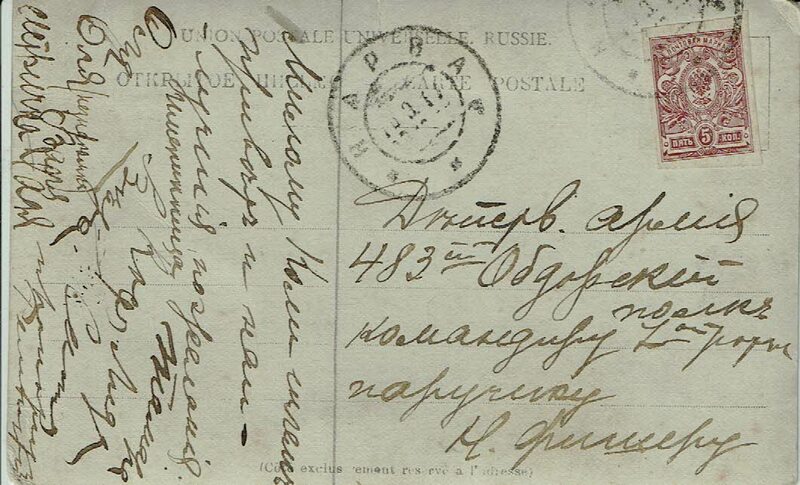 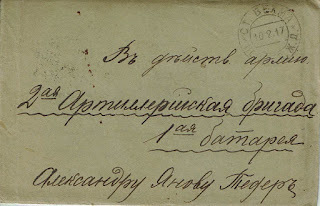 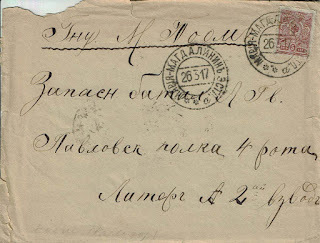 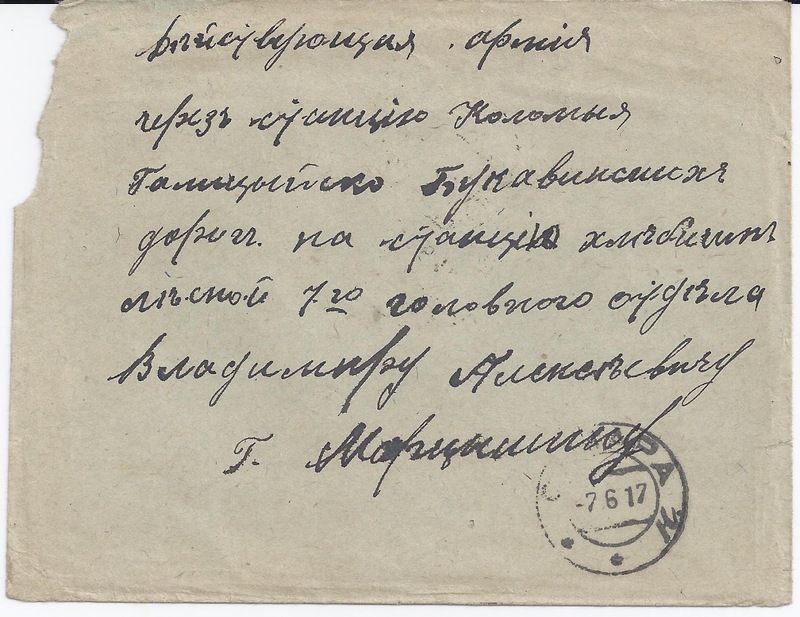 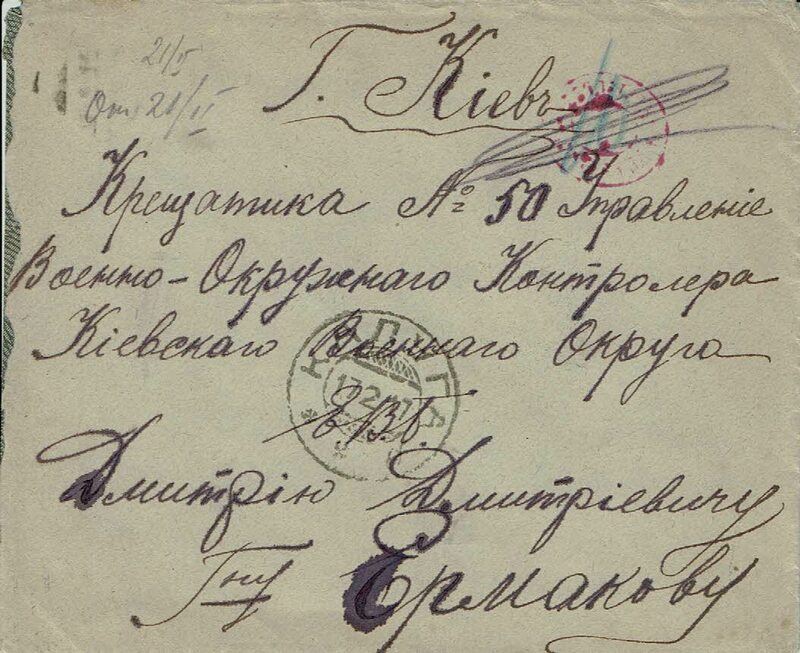 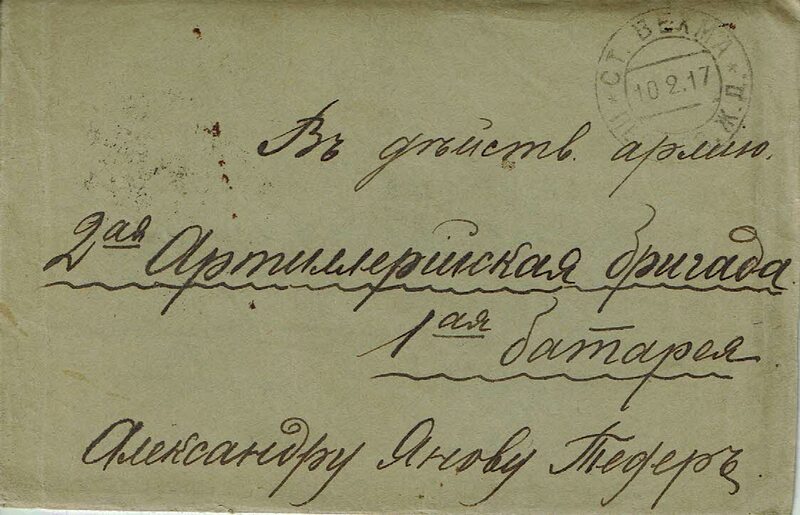 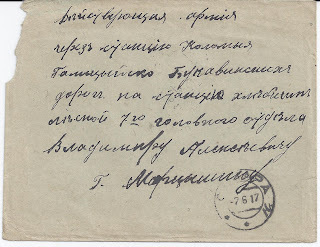 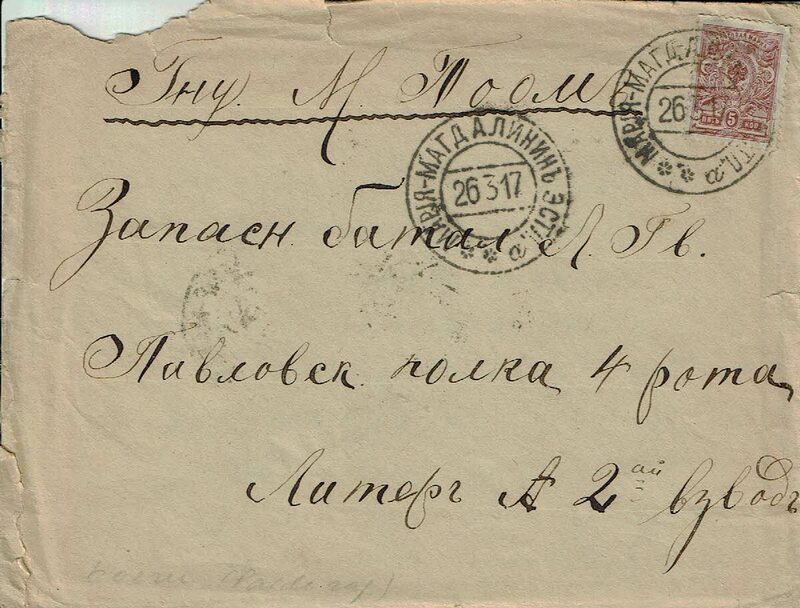 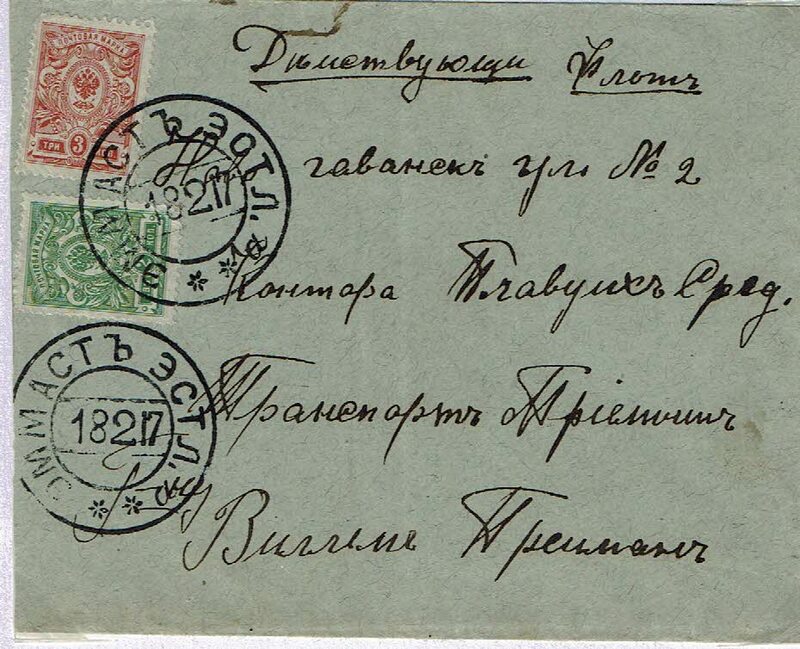 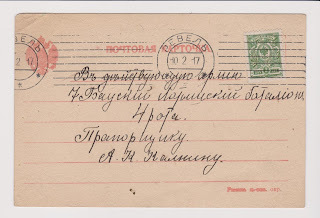 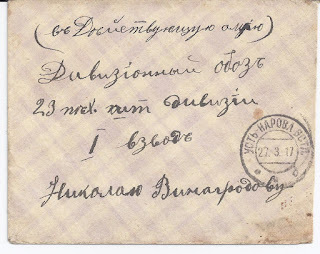 The letter was sent from UST NAROVA ESTL[and] 27 3 17, early in the period of the Provisional Government. 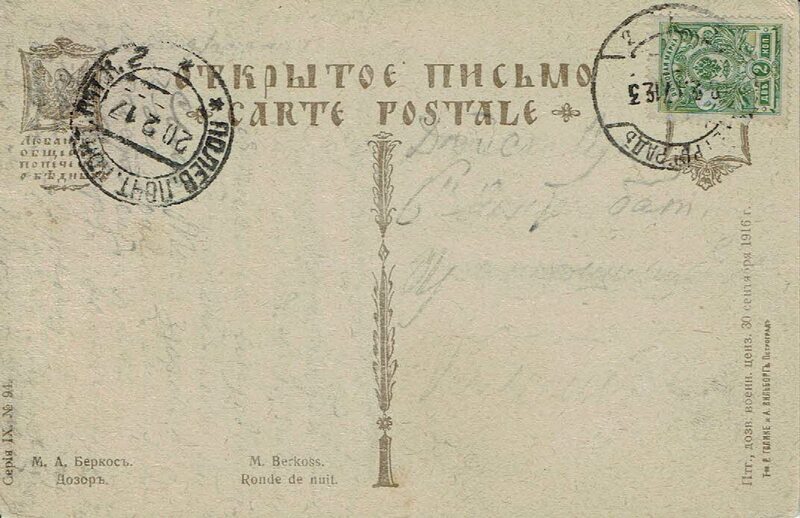 This one lacks a Field Post receiver cancel which would often be applied. 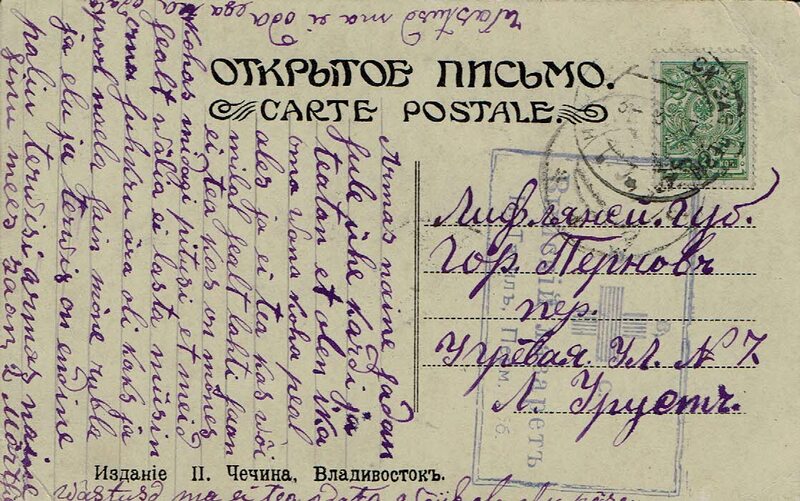 I can't interpret the remarks pencilled in violet. 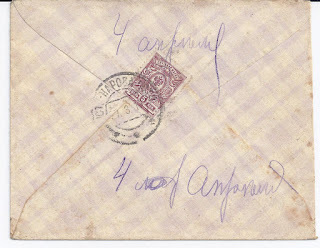 The normal letter rate was 10 kop at this time. 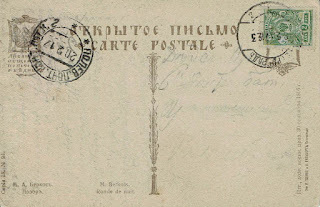 Such letters are scarce for at least two reasons: their survival rate cannot have been high; the parents of most soldiers were probably illiterate and so would need someone to write for them so perhaps not many were sent. Added 5 November 2016: Hannes Westendorf in Luxembourg sends me the following scans which show the corresponding reduced Tariff for postcards, 2 kopeks instead of three. 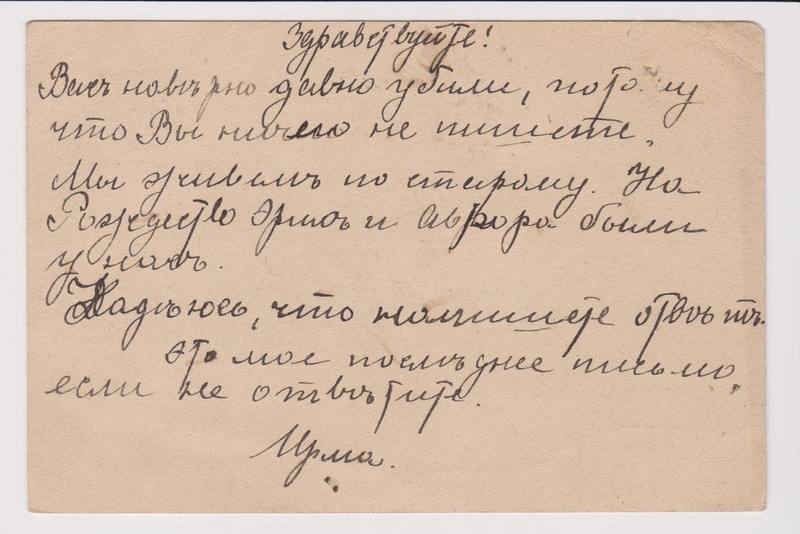 I have never seen an example before. 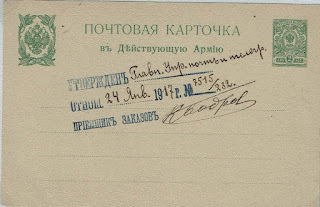 According to Alexander Epstein in an article in POCHTA (New Zealand) 1996, the Tariff was applied only between 1 February and 27 March [Old Style] 1917 which also helps explain the scarcity I referred to above. 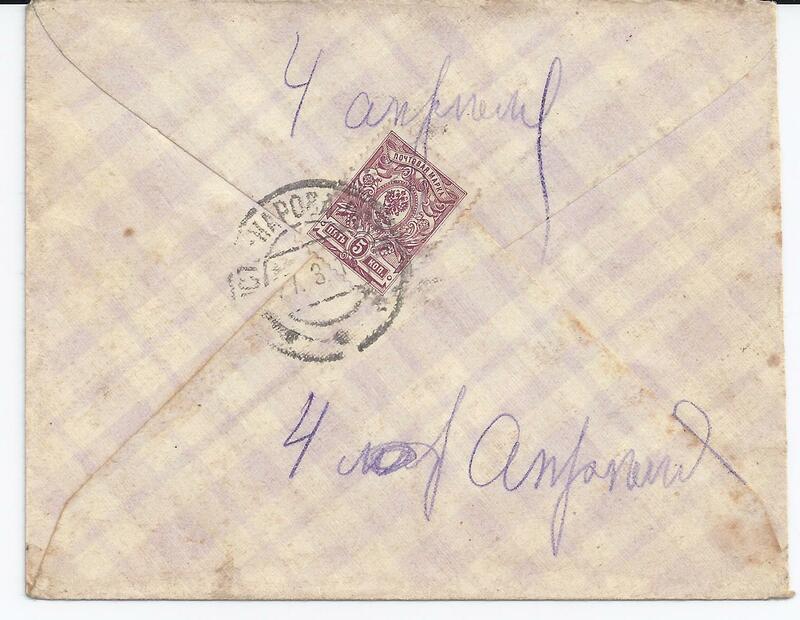 However, the Tariff may have been renewed - see the cover from my own collection below sent from SAMARA 7 6 17 and as with the other two examples headlined "To The Active Army" - the equivalent of "On Active Service". 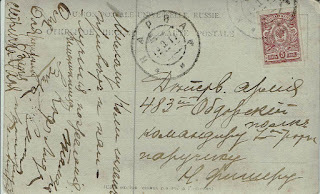 Alexander Epstein writes to me from Tallinn, "By the way, I was going to contact you myself just today concerning your recent blog. 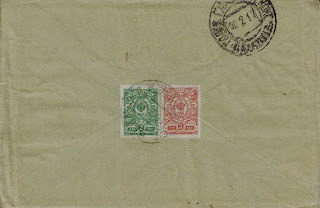 You are quite right writing that such covers are scarce, since this rate was lasting for 2 months only. 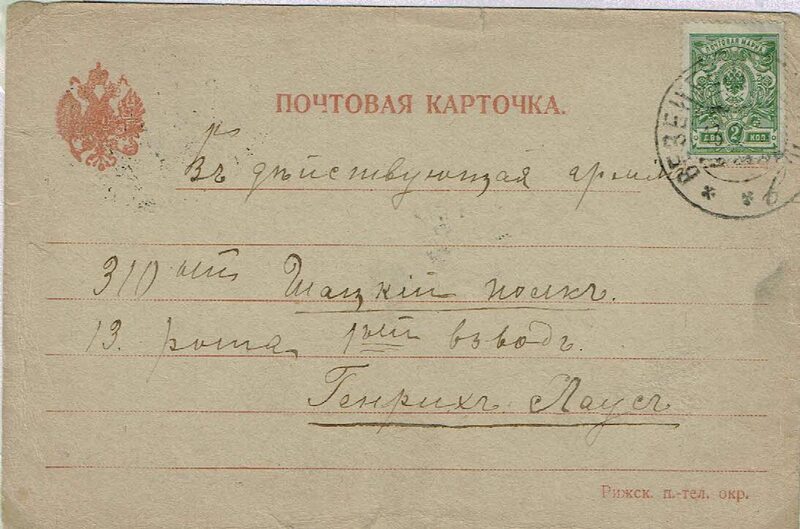 However, you are wrong when stating that the rate was later restored again. 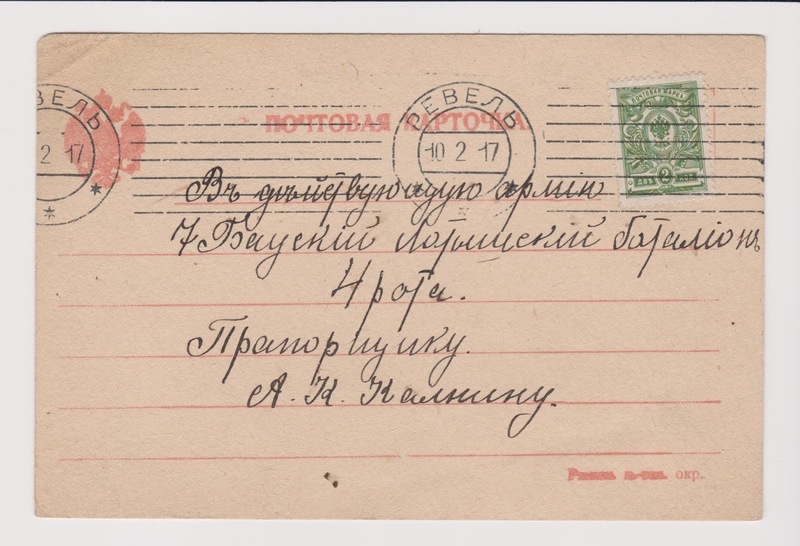 This never happened and the bulk of mail to Active Army was free also after March 1917. 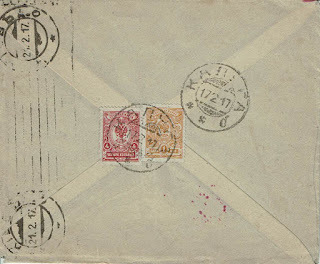 Indeed, one can find covers franked later according to this rate as well as those according to the normal inland tariff, but all those are occasional deviations. 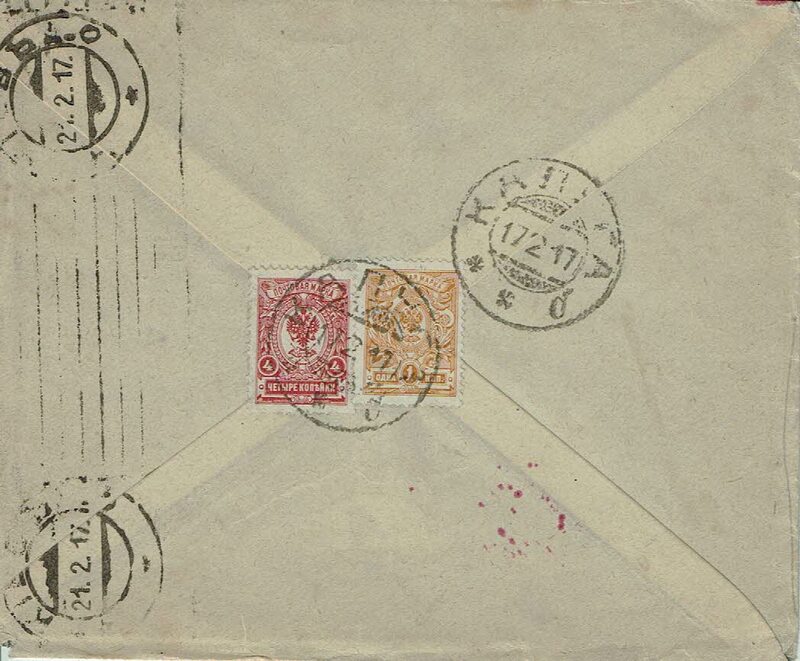 The same concerns the mail from Army or hospitals for wounded soldiers franked by this privileged rate. 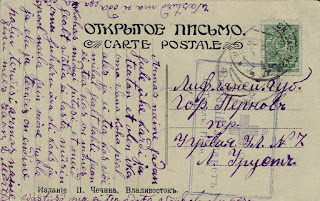 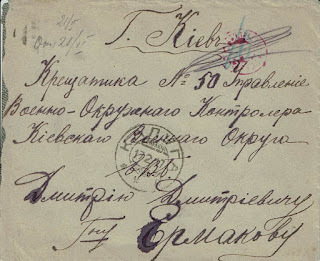 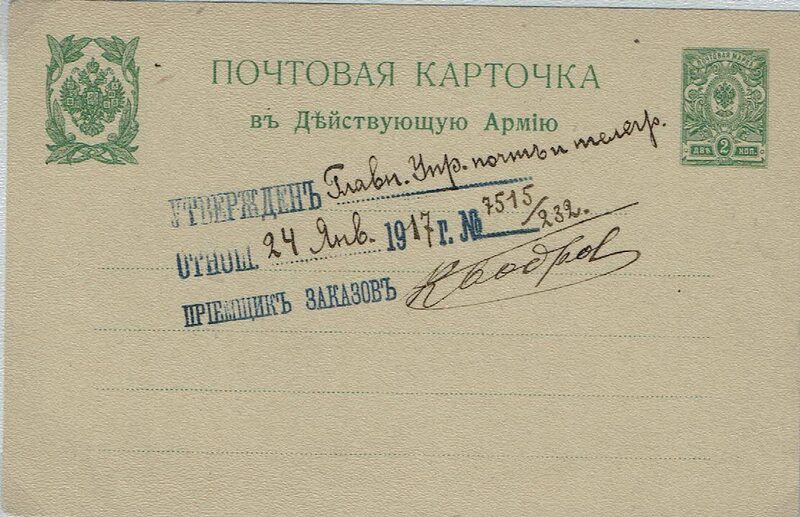 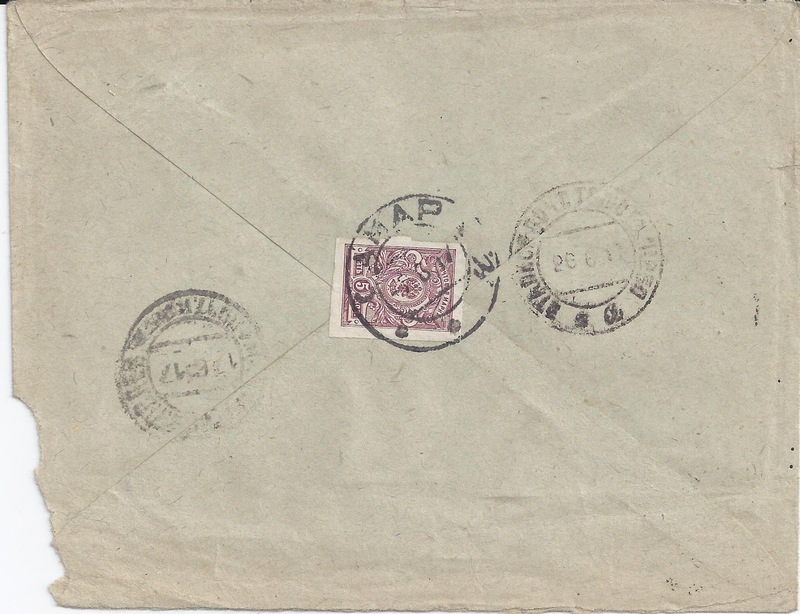 The arrival postmarks of FPOs are found on such covers rarely, since the addressees could be located also outside the theater of military activities, at the rear localities etc. 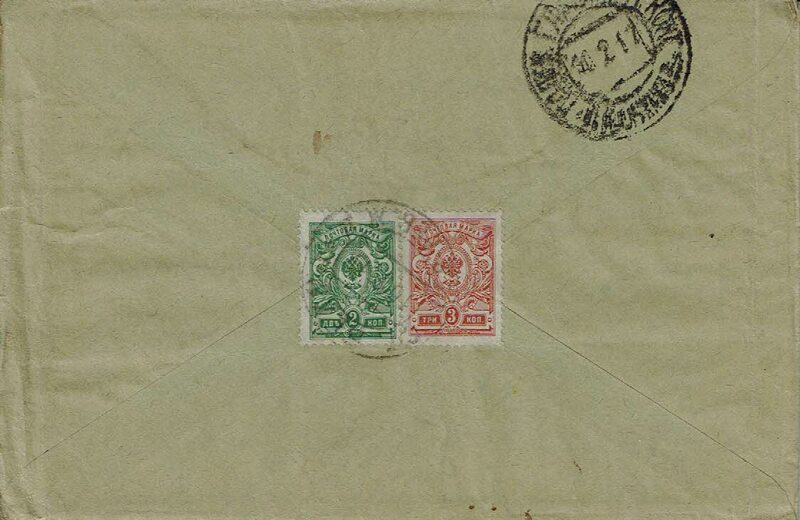 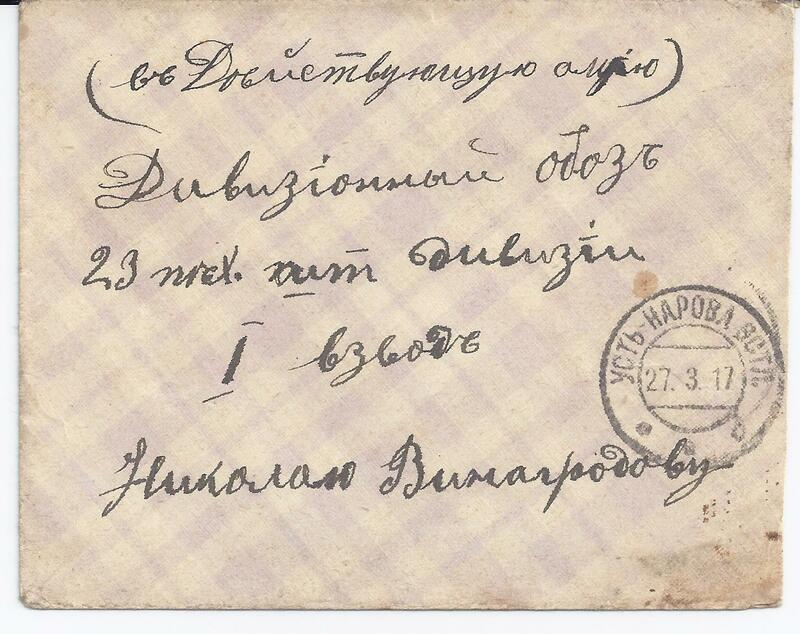 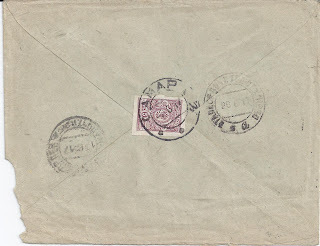 Generally, such postmarks are rather often missing in those years on the usual mail as well.